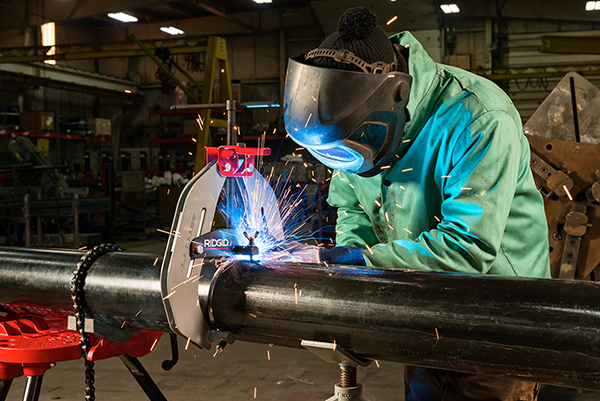 Pipe fabricators, welders and metal workers are getting a better grip on tough jobs thanks to the new RIDGID® Quick-Acting Pipe Welding Clamp. Designed for quick setup and easy alignment of pipe from two to 12 inches, it is a perfect addition to any pipe fabrication or metal working project. The Welding Clamp comes in two sizes – 2-inch to 6-inch and 4½-inch to 12-inch – allowing contractors to select the clamp best suited to their needs. Both sizes feature quick release buttons and integrated handles for fast adjustment, alignment and easy switching between pipe sizes. They also include spring-loaded winged set screws for precision three-point alignment and an integrated size gauge for simple pipe measurement. ACME threaded screws transmit ample clamp force, while the heavy-duty steel construction is built to withstand rugged jobsite applications. “Efficiency continues to be a driving factor on every jobsite and having the right tools to allow for quick work without sacrificing quality is vital. 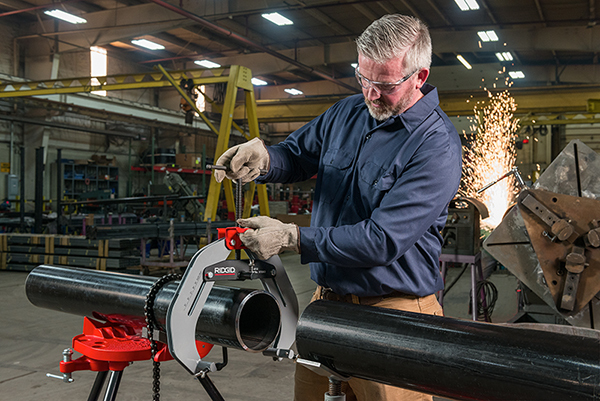 Our new Quick-Acting Pipe Welding Clamp is our latest product to address that need and will enable contractors to quickly move between pipes and provide precise alignment,” said Larry Feskanich, RIDGID Global Marketing Manager. The Welding Clamp comes with the RIDGID Full Lifetime Warranty. 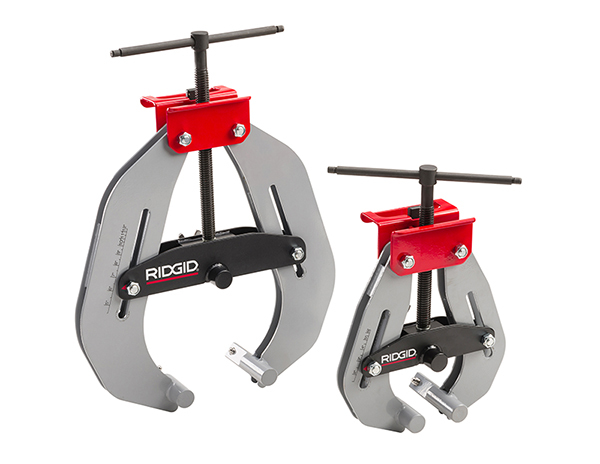 To purchase or learn more about the Welding Clamp or other threading and pipe fabrication products, contact your local distributor, visit RIDGID.com, or call toll-free: 1-800-769-7743.